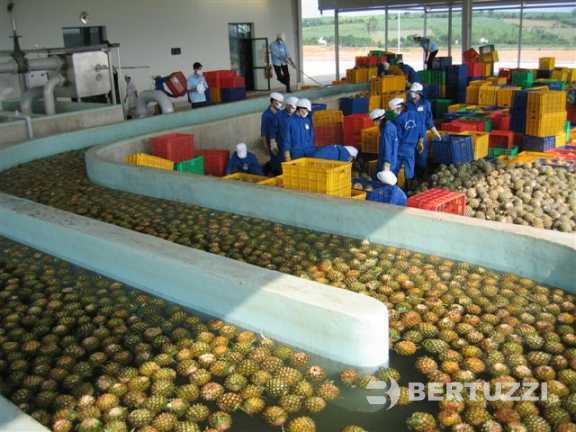 Pineapple is one of the most popular tropical fruit and the consumption of its delicious juice is increasing significantly. 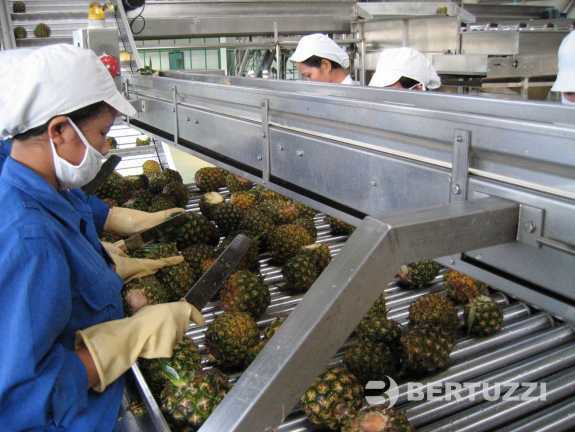 Bertuzzi has developed highly specialized technologies for the production of both natural and concetrated pineapple juice. 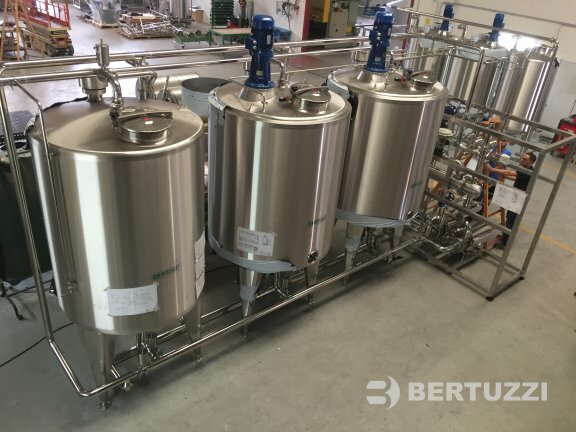 We are especially proud of our dedicated pineapple juice extractor Pinetronic, which guarantees utmost product quality by minimizing any contact between peel and juice. 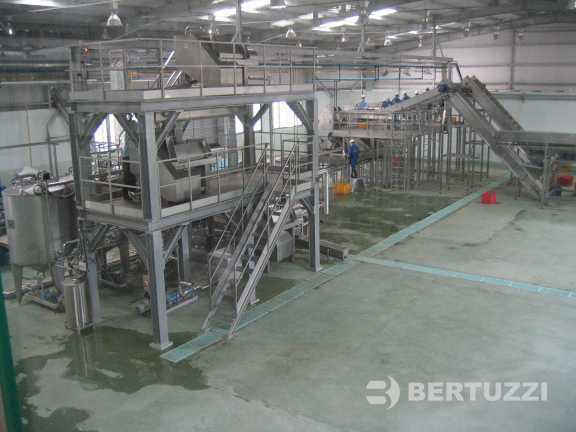 Our universal washing basing InoxAll is suitable for cleaning any fruit destined to the industrial transformation. 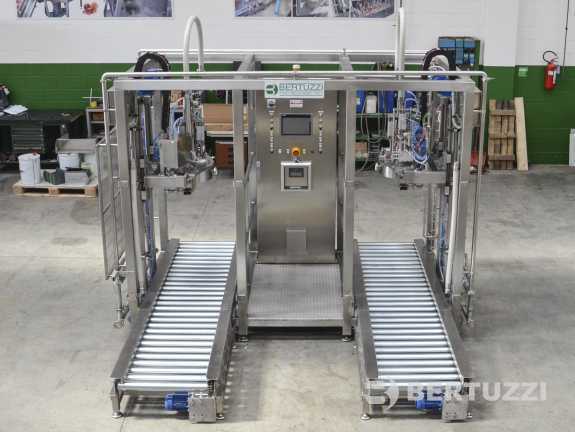 The unit takes the fruits through two subsequent washing processes: by immersion in a basin and by shower on an elevator. 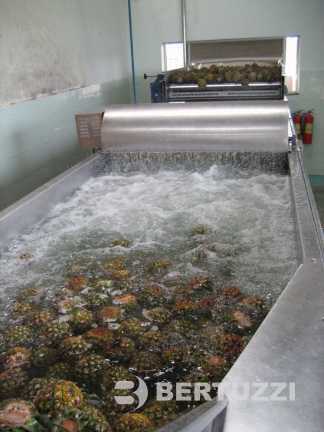 After being washed, pineapple are fed to our universal sorting station Selinox where they can be efficiently inspected by the personnel. 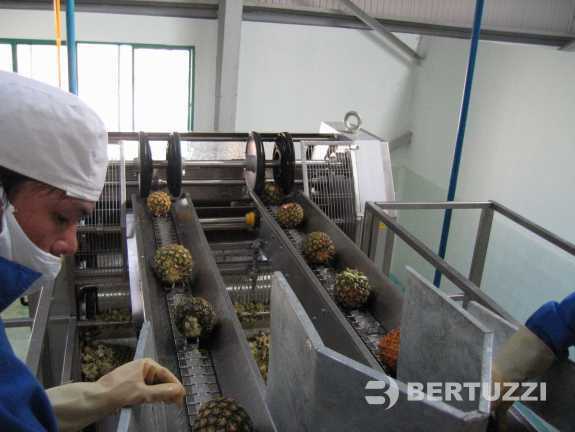 Our dedicated pineapple juice extractor Pinetronic cuts the fruit in two halves, extracts juice and pulp and eliminates the peel, while obtaining a pulpy juice of excellent quality. 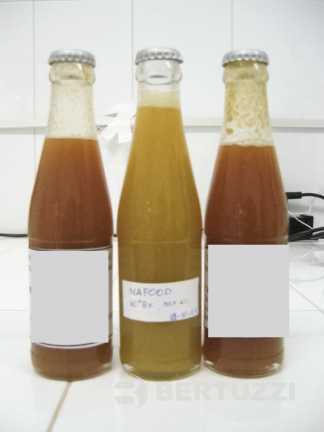 No contact between juice and peel takes place. 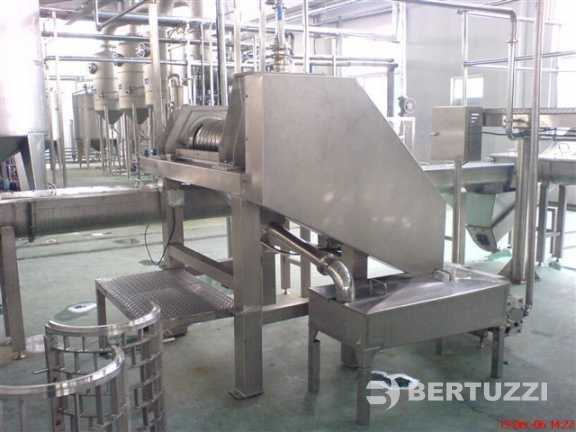 Helicoidal extractor ESM is used to depulp juice. 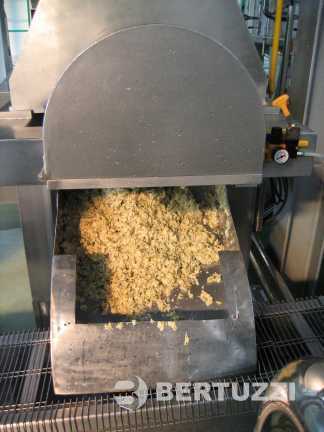 A decanter or a centrifuge can be used to further reduce the pulp content. 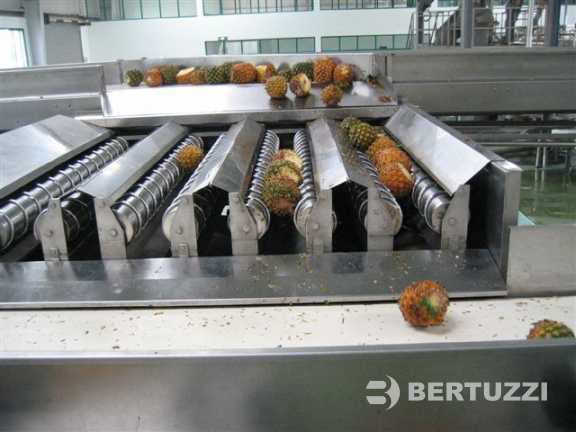 Our plate evaporator Flashterm is perfectly suitable to process pineapple juice because of the low residence times and the low temperatures involved in order to maintain the organoleptic characteristics of the juice. 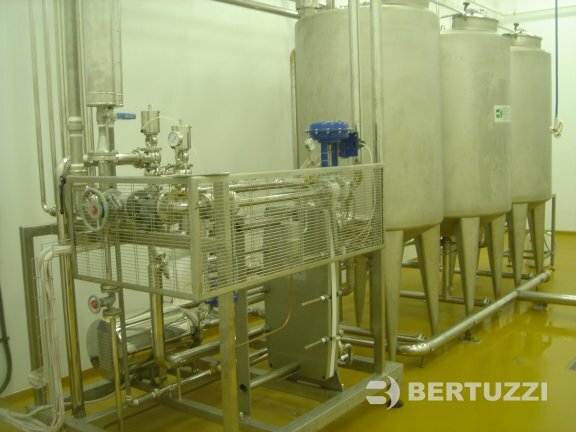 The pineapple juice, concentrated or natural single strenght, can be sterilizied or pasteurized depending by the specific request of the application, by a plate sterilizer model Sterilflash or a plate pasteurizer model Thermoflash. 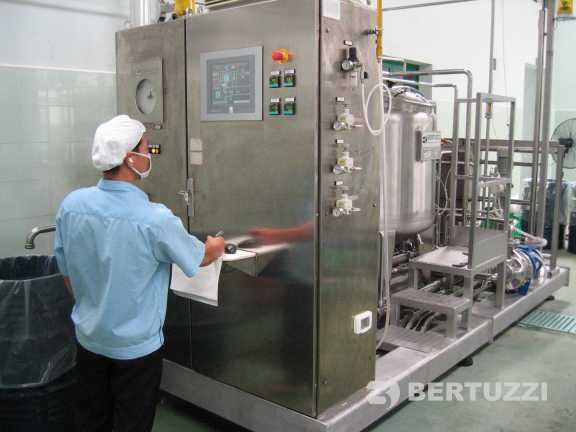 Once sterilized the product can be filled in aseptic bag in drums or in box thanks to Bertuzzi Aseptic Fillers. 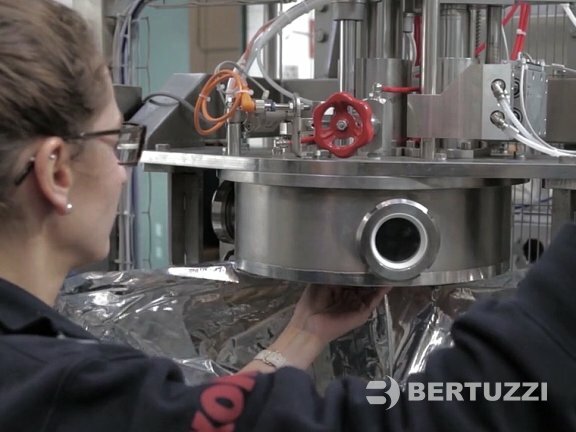 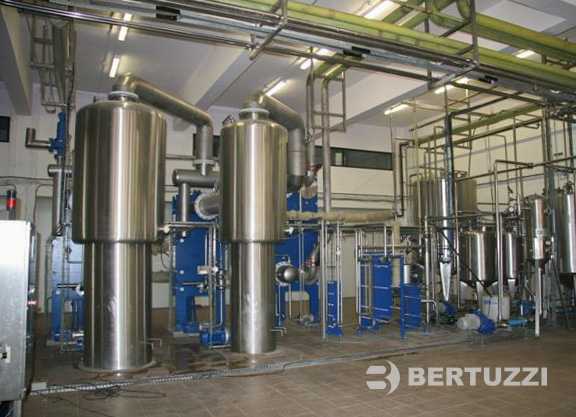 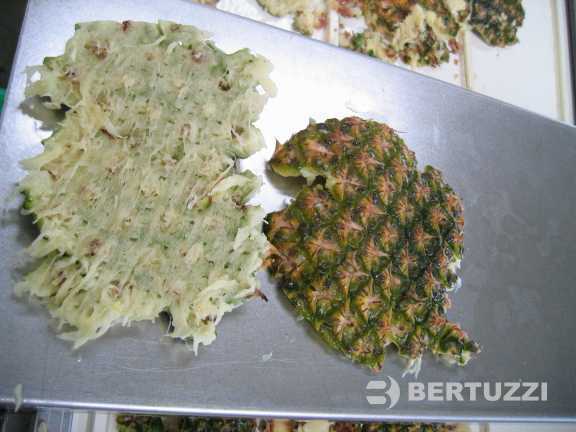 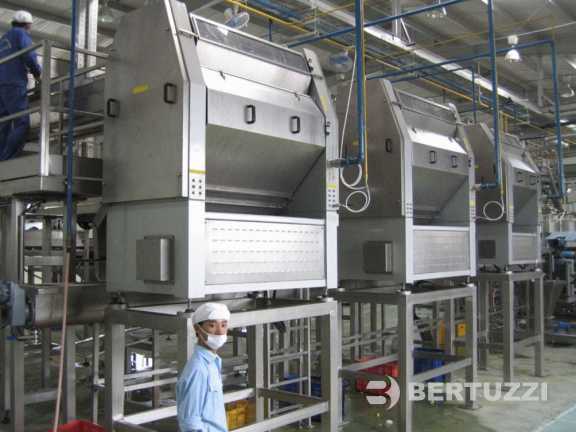 All Bertuzzi lines are designed according to the international food grade requirements and to be fully cleanable by exploiting integrated cleaning procedures and systems or centralized and fully automatic CIP system. 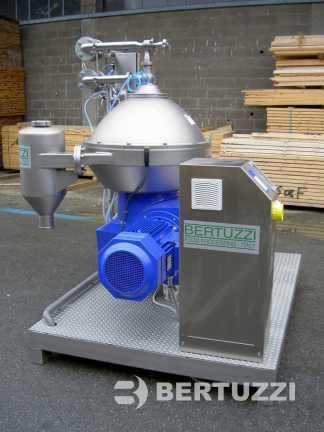 The Bertuzzi CipMatic is specifically designed to guarantee a perfect and efficent CIP of the fruit processing plants.